Apparently 750bhp SUV’s are like busses … you wait for ages and then two come along at once. Enter the Gemballa Tornado 750 GTS and the even more ludicrous Brabus GLK V12. The latter currently holding the much sought after title of ‘world’s fastest street-legal SUV’. Awesome. So lets compare the statistics … both have 750bhp but the Brabus GLK edges ahead with 1,100Nm of torque vs the piffling 1,050Nm offered up by the Gemballa Tornado. 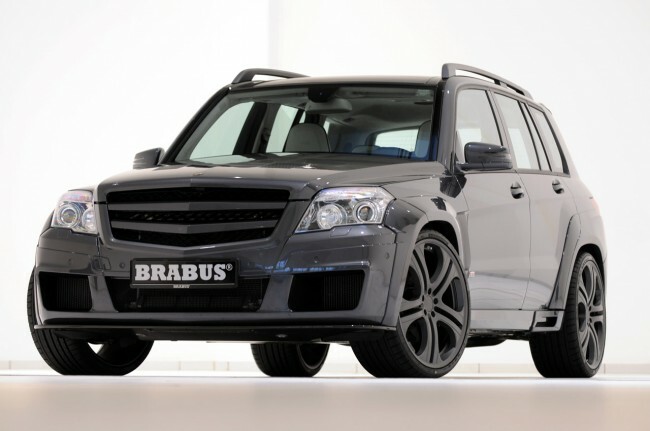 The Brabus reaches 60mph in 4.2seconds vs the Gemballa’s 4.3. Obviously both cars are about as aerodynamic as multi-storey buildings however Brabus appear to have spent some of the €400,000 asking price on some modifications which enable the GLK to go just over 200mph (322kph). That is a full 14mph faster than the Gemballa will max out at. For the environmentalists among you, that is about 1 hectare of trees and their endangered inhabitants per minute when at 100% throttle. Clearly these cars are aimed at a valuable niche, i.e. : ‘I own my own oilfield and must carry 5 people at ludicrous speed to the supermarket and back, while racing my 17 year-old nephew in his Ferrari Enzo’. It worries me how many phone calls these companies must have received for them to consider this a worthwhile exercise in car modification. Possibly the most pointless and expensive SUV’s that will ever disgrace the face of planet Earth.